BLUE or WHITE Shrink Wrap sheet size 17' x 270' x 6 mil. 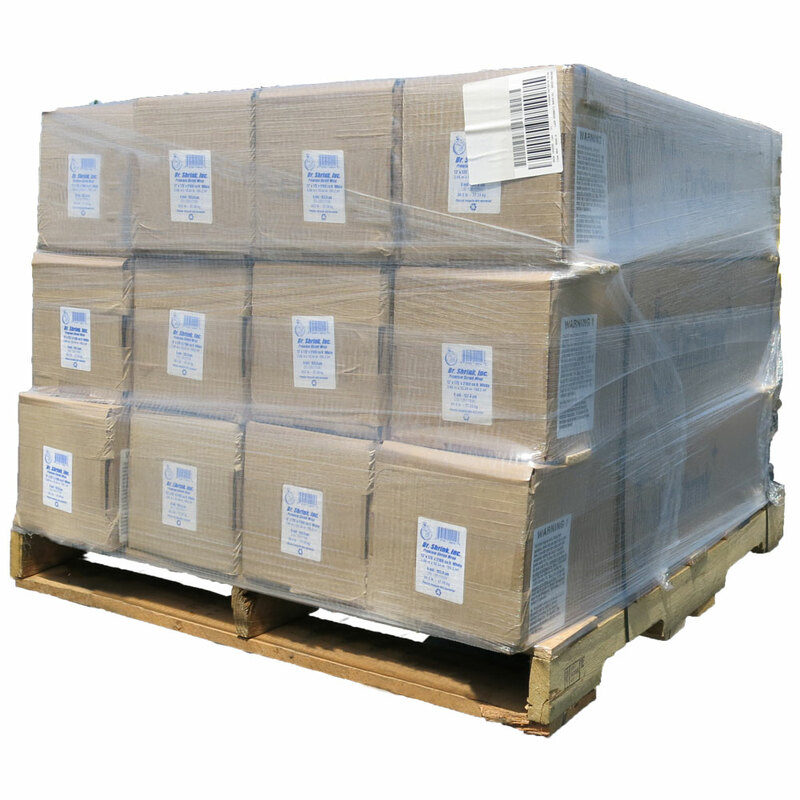 These are center folded shrink wrap rolls (size boxed or bagged: 54" x 11" x 11"). Shipping size for this pallet of shrink wrap: 54" x 46" x 42" high. Shipping weight for this pallet of shrink wrap: approximately 1800 lbs. This must ship by freight carrier (on a pallet in a big truck). The shopping cart will offer freight carrier shipping quotes. Shrink wrap has static that will attract dirt, so keep the shrink wrap clean and dry for best results. Rolls of shrink wrap are center slit and multi-folded. 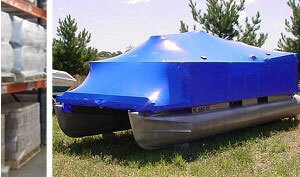 After you drape the shrink wrap film over your boat or equipment, unfold it from the center (it unfolds equally in each direction). All rolls are on a 3 inch diameter cardboard core, so it is easy to place over a pipe for help with dispensing. Or, if you prefer a more professional approach, order a Shrink Wrap Rack.